The Skilled Migrant Category is the most direct path to residence in New Zealand. It is designed to make sure that those migrating to New Zealand have the skills that the country needs in a time of low unemployment and skill shortages. This category works on a points system. Points are earned on the basis of your qualifications, work experience and job or job offer in New Zealand. Bonus points can be earned if your expertise is in an industry which has been identified as having a skills shortage or growth potential. Work out how many points you score at http://www.immigration.govt.nz/pointsindicator or in the in the Self Assessment Guide for Residence. You fill in and submit an EOI form, either online or on paper. This includes information on things like your skills, experience, and family circumstances. Your EOI goes into a pool in which it is ranked alongside other applicants. Every fortnight EOIs are selected from the pool using the following criteria: o EOIs that have 140 points or more will be selected automatically from the pool o Applicants who score between 100 and 135 points and have a New Zealand job or job offer will be ranked and selected in sufficient numbers to meet the New Zealand Immigration Programme numbers for skilled and business migrants. o If enough places are available, other EOIs may be selected on the basis of specific criteria which the Minister of Immigration will set every six months. If your EOI is selected, the information in it will be verified and you will be invited to apply for residence. You then have three months in which to collect your documentation together and get you application in. If your EOI is not immediately selected, it remains in the pool for six months. At that time you are able to try again. With 50+ points available for a job or job offer, you can see that securing employment in New Zealand makes a huge difference to your eligibility for residence. 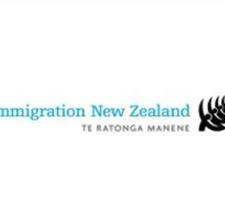 You can find more information on the Skilled Migrant Category and working in New Zealand at www.immigration.govt.nz.